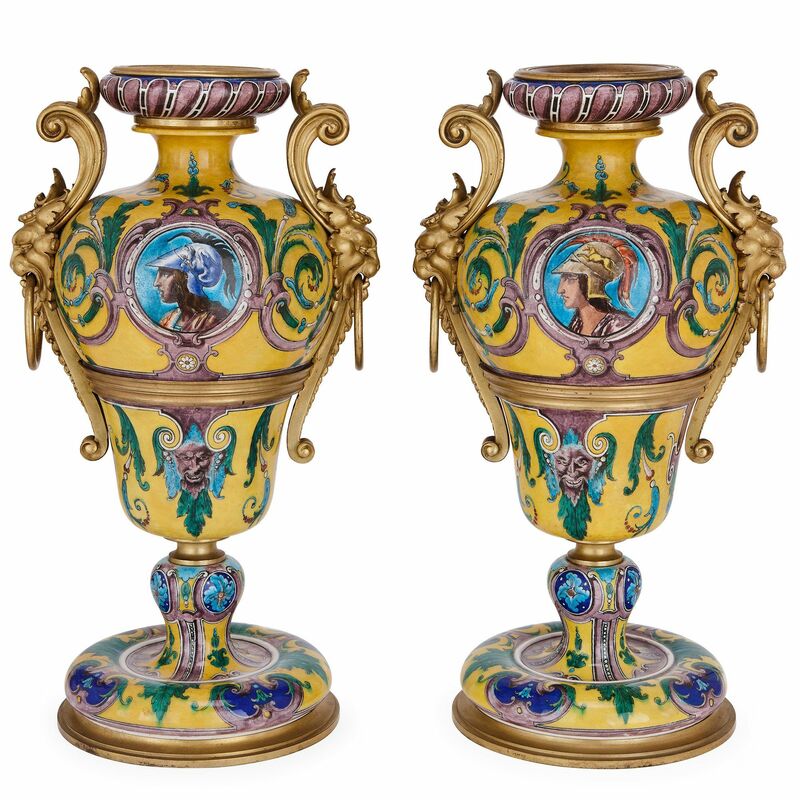 This beautifully decorated porcelain centrepiece garniture features extremely fine ormolu mounts made by the celebrated French metalworker Henry Dasson. 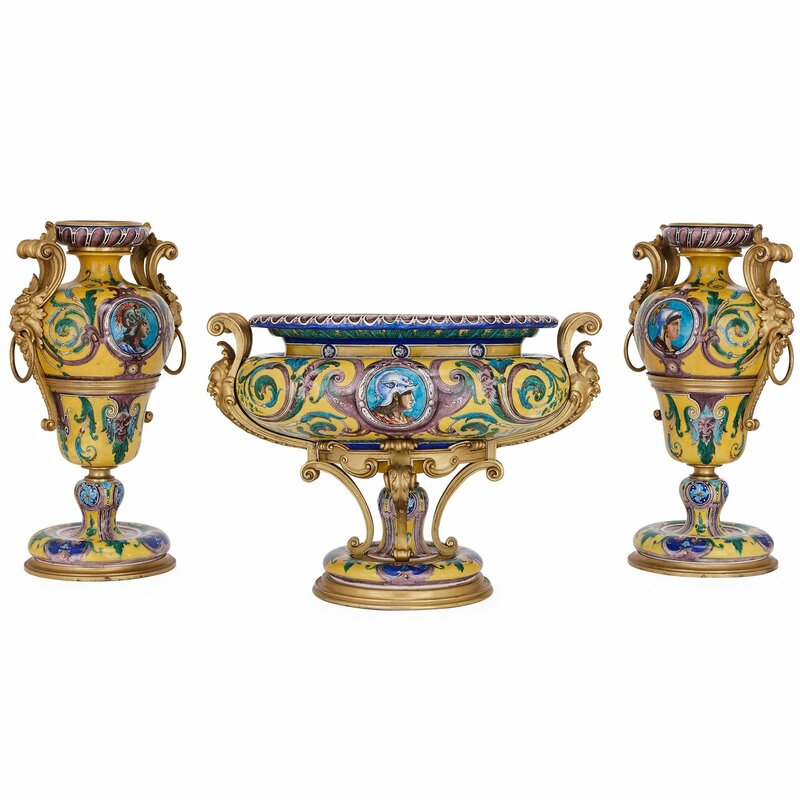 The three piece garniture set by Henry Dasson (French, 1825-1896) comprises a central jardiniere and two vases. 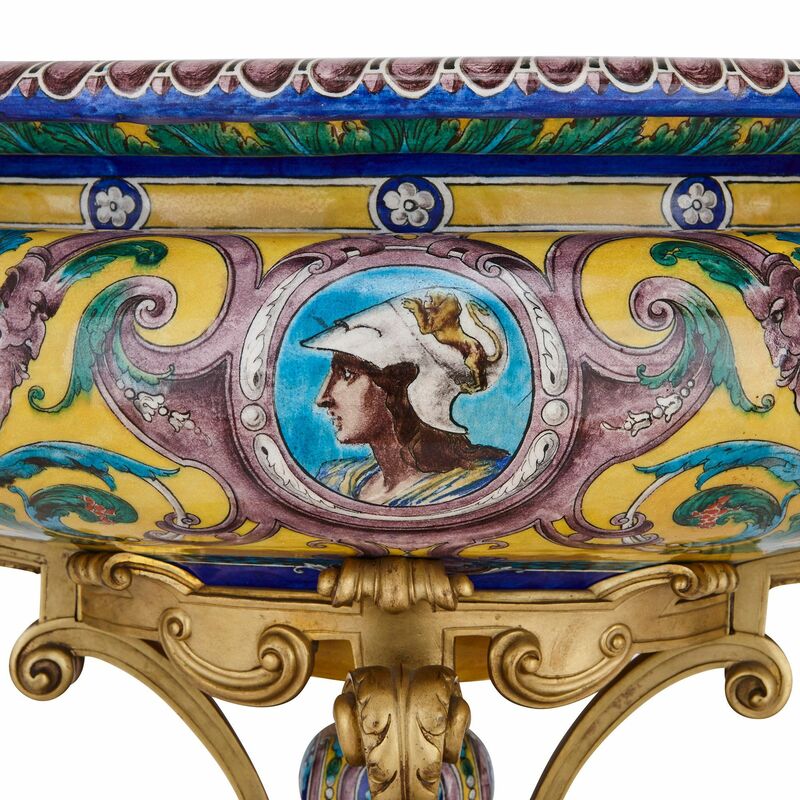 The jardiniere has a shallow porcelain bowl, and the body of the bowl is decorated all over in colourful arabesques on a yellow ground, with the profile of a Roman soldier detailed in a cartouche to the front centre. 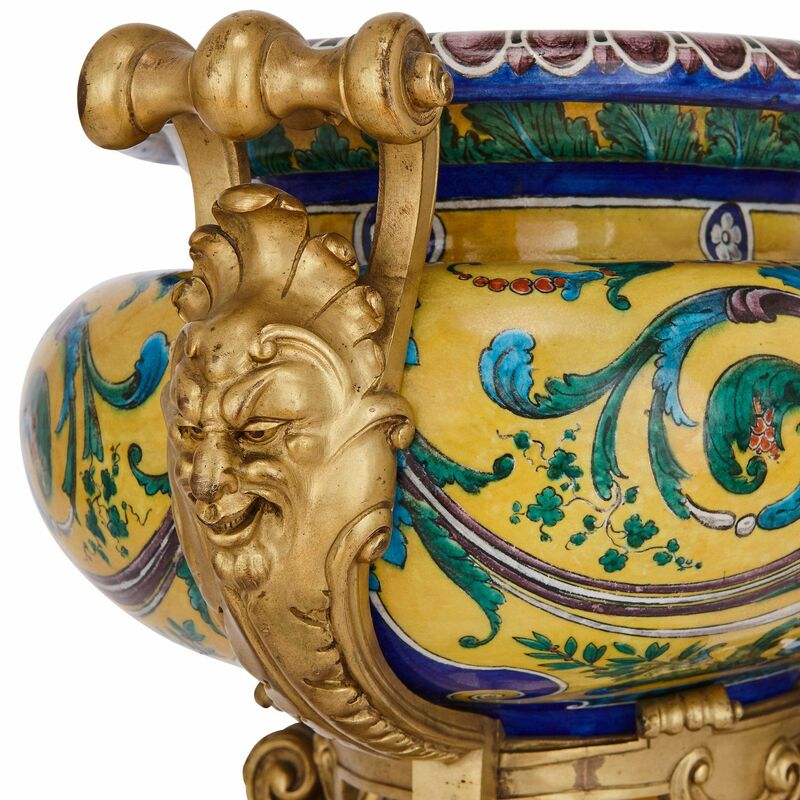 The bowl features twin scrolling ormolu handles styled as grotesques and a waisted neck painted with flowers, acanthus leaves and geometric patterns. 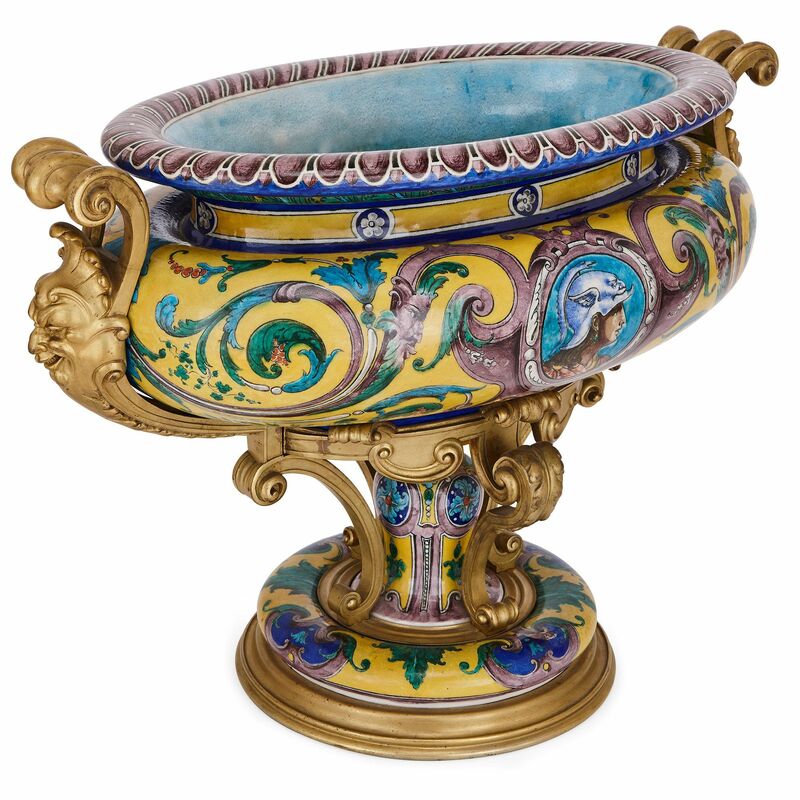 The bowl is set onto a scrolled ormolu stand with a painted porcelain pillar to the centre, connecting it to the circular porcelain base, all of which stands on a circular band of ormolu. 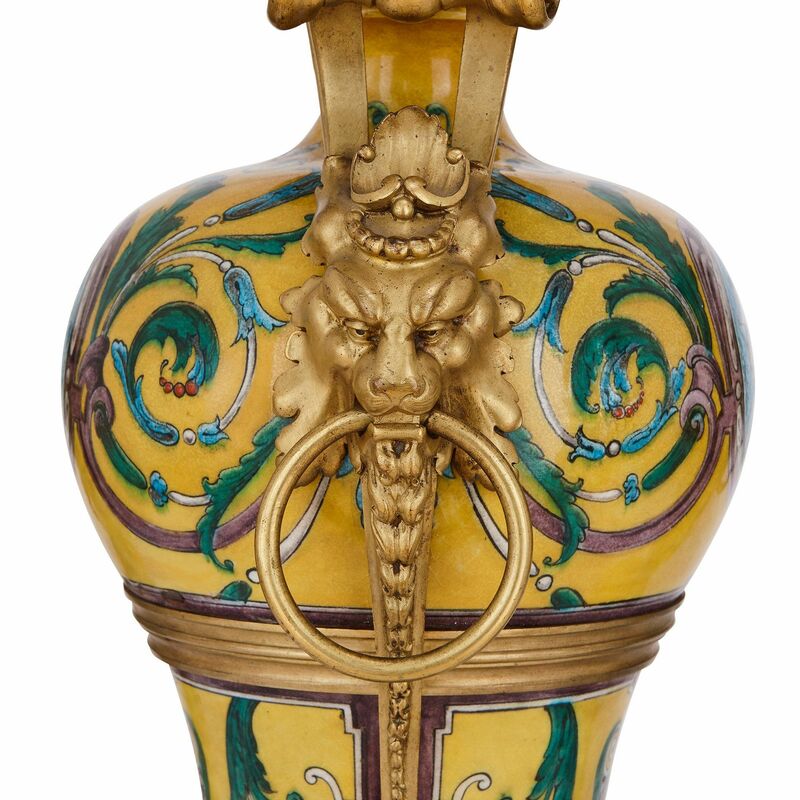 Each of the vases are of ovoid form and are similarly decorated and patterned, featuring Roman profiled soldiers and ormolu mounts. 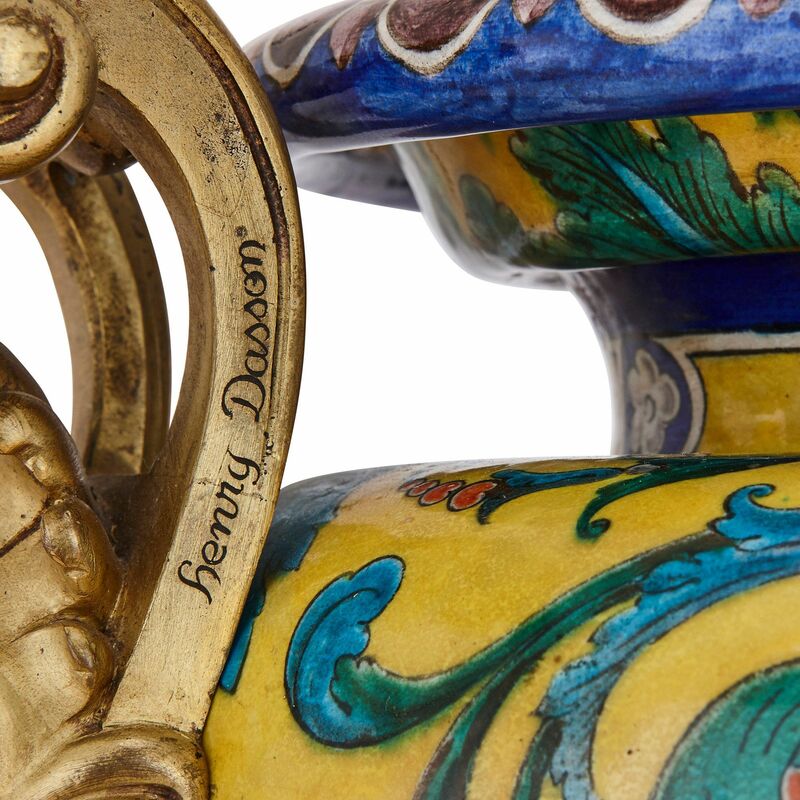 The ormolu mounts are signed 'henry Dasson'.